# 12 Top Feed Bubbler. # 12 Customized "blackout" style reservoir and custom lid. 12"W x 19.88"D x 9.19. Garden hose adapter with shut-off valve. Blue water level indicator tube. 3.75 net cups: quantity six (6). 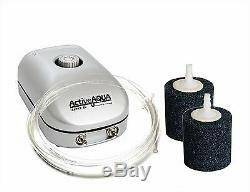 Aeration kit: one (1) 7.8L dual-port air pump, two (2) small cylinder air stones, air line. 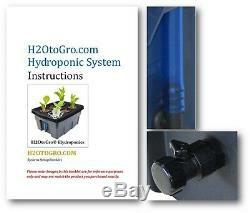 Self-watering Kit: One (1) 160 gph water pump, water lines and drippers. Starter Kit of Grow Mediums and Premium Nutrients. Customer Service that is second to none! 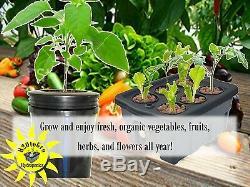 With hydroponic gardening the plants grow in nutrient-rich water instead of soil. The grower chooses the nutrients to add to the gardening system, which helps each plant get the proper nutrition, regardless of what is being grown. The nutrients are added directly to the water. With the premium nutrients we offer, there is no need to pH balance the water. 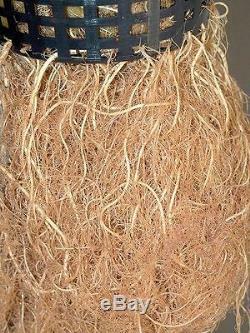 The plants easily uptake the nutrients through their root-system. It is much easier for the plant to get the food it needs when grown this way as the plant re-directs the saved energy into growth and production. A hydroponic plant, if grown properly, will grow much larger and provide a higher yield than soil grown, while producing higher quality food, flowers and herbs. 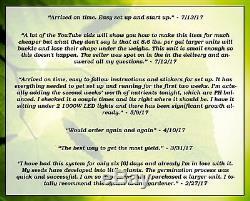 Includes simple instructions to help ensure a positive growing experience. Hydroponic systems are manufactured using 100% Food Grade, "Blackout" style, customized reservoirs and lids. 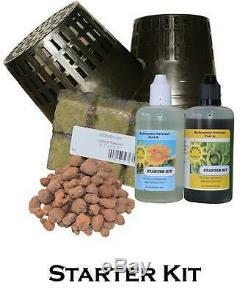 Our Complete Hydro Kits include Starter Kits of grow medium and nutrients to start your first set of plants! Most systems feature a water level indicator, which makes it easier to maintain the proper water level in the reservoir without lifting the lid or disturbing the plants. Deep Water Culture system the roots are suspended in the reservoir beneath the net pots, where they bathe in nutrient-rich solution throughout the entire grow cycle. Hydroponics increases the plant yield and reduces grow time. Most systems are equipped with a garden hose adapter for easy cleaning. 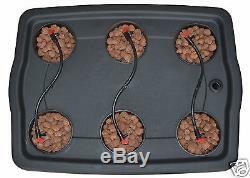 Top Feed, or Self-watering, systems also feature a. Shut-off valve to make draining and water changes a breeze. So what is the difference between Organic and Hydroponic? Organic hydroponic growing is focused on natural ingredients and the avoidance of chemicals, pesticides and GMOs. Both hydroponics and organics have the same goal in mind but the difference is the means by which this better quality is accomplished. Organics are dependent upon organisms in the soil to convert the organic materials into a usable form of food for plants. The challenge in soil is encouraging the beneficial organisms while discouraging the growth of the destructive organisms & pests. This is where hydroponics win the race. The growing medium for hydroponics is water with nutrients such as Calcium, Magnesium, Nitrogen, Potassium, Sodium, Iron and more. Think of your multi vitamin taken with a glass of water. It is really that simple. The benefits of hydroponics are significantly faster growth rates, larger yields, less mess, less fuss and shorter growth time. Hydroponic grow system complete hydroponic kit grow light grow tent 420 DWC bucket Deep Water Culture Indoor grow system Outdoor stealth seed starting gardening supplies accessories drip irrigation under current large yield CBD THC Mary Jane vegetable garden auto-water hydro re-distributive aeroponic aquaponics cloner ebb and flow. 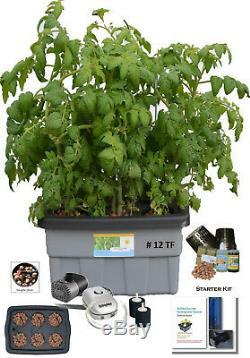 Hydroponic indoor garden DWC plant grow kit herb stealth cannabis 420 marijuana light LED vegetable nutrient deep h2o aquaponic aerogarden bucket bubbler hydrofarm organic topfeed water circulate basil fresh counter pot pump green project clone air. The item "Hydroponic System TopFeed BUBBLER Plant Growing kit # 12 6-site H2OToGro" is in sale since Friday, March 10, 2017. 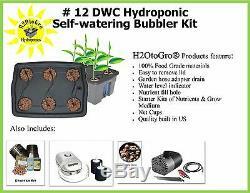 This item is in the category "Home & Garden\Yard, Garden & Outdoor Living\Gardening Supplies\Hydroponics & Seed Starting\Seed Starting & Cloning". The seller is "islandhoppersx4" and is located in Paulden, Arizona. This item can be shipped worldwide.